filter pleat that looks a little like a wave is added to the air-oil separators media during manufacturer. 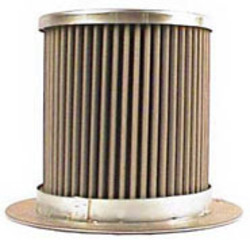 Pleated filter media increases the air-oil separators capacity. Pleated oil separators can handle on average two times the air flow of a conventional air-oil separator. HARTMANN Air/Oil Separators can be used with all types of standard compressor lubricating oils, irrespective of whether they are mineral-based, semi-synthetic or full-synthetic products. air/oil separators for energy efficiency and low residual oil content. MANN+HUMMEL designs air/oil separators for energy efficiency and low residual oil content.